Our friends with the U.S. Army Field Band are about to embark on a summer concert tour. Be sure to catch their concert when they come to your area. CLICK HERE to see a full touring schedule. 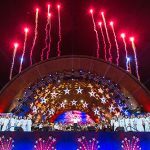 I am personally looking forward to performing with this fine ensemble when they join us on July 4th for the Boston Pops Fireworks Spectacular!